2001 was a fine year for Bob Dylan’s “Never Ending Tour”. .. the show was superbly recorded and much of the atmosphere does come across. “Forever Young” sounds like a benediction on the self-healing residents of the suffering city. “A Hard Rain’s A-Gonna Fall” and, especially, “Blowin’ In The Wind” with its line “and too many people have died” have a special feel to them; a feeling that you can sense is being supplied almost as much by the audience as the performers. “Searching For A Soldier’s Grave” and Fred Rose’s song “Wait For The Light To Shine” cannot help but do the same, and the carefully-controlled lighting effects all added to the ambience. A great & very special New York concert only 2 months after 9/11. “I was at the November 19th show in Madison Square Garden in New York which was the first time that Dylan had played New York after September 11th. As a concert it was a fairly standard set list, but there was an atmosphere in Madison Square Garden which was just incredible. 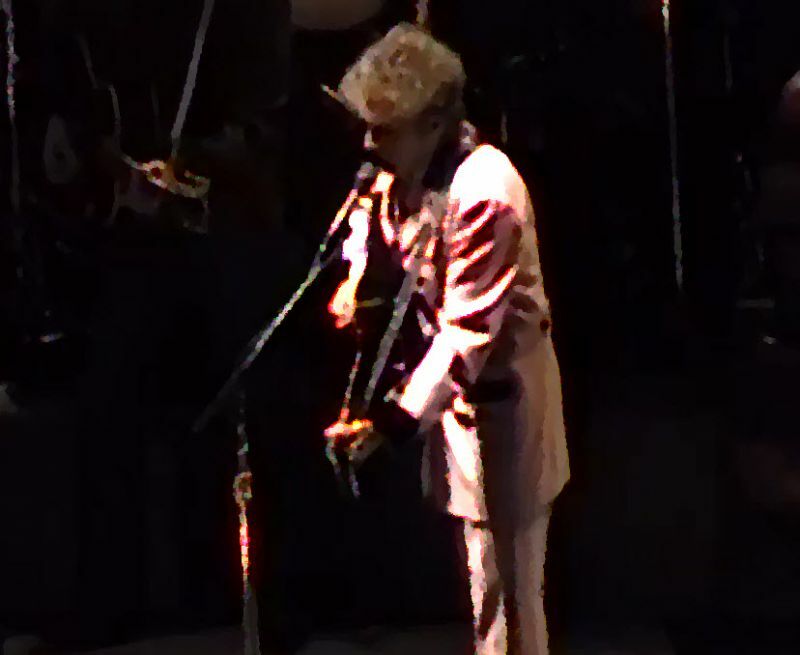 There are good bootlegs of the concert but I don’t think they can capture the kind of feeling in the audience of welcoming Dylan to New York two months after September 11th, and there were two moments especially when this became very clear. He started singing “Just Like Tom Thumb’s Blues” and it was as if the entire audience just drew in its breath until the final line, going back to New York City, and when it got to that final line there was just this huge cheer that moved all over through the audience, it clearly at that moment had very, very special meaning for everyone in there. Great concert – thanks for posting! He played Yea Heavy and a Bottle of Bread and End of Innocence in 2002 – Nov 11. My God, Dylan and the band are great throughout! Song choices, unbelievable!! Thanks for the video. The NET lost alot when Larry dropped out. The period with Larry and Charlie was the best. We don’t upload concerts, just embed stuff from different websites.. often youtube. This concert is on youtube and there are tools you can use to capture youtube videos and save them to your local harddrive. performance has always been appreciated! For years after 9/11, NYC was an armed camp. Trucks full of WTC debris passed my apartment every day, the wreckage was still smoldering, and funerals were being held on a regular basis for firemen at the cathedrals around town. Bagpipes every time. Armed guards with machine guns stood guard at every public place. Yet Dylan came to play Madison Square Garden, once a mere month after the attack, and again a year later. Ticket holders weaved through security, for many it was their first large public gathering after the attack. Lots of performers had canceled shows. During the show, Dylan said “Many of these songs were written right here in New York. No one has to ask how I feel about New York.” He played “Yea! Heavy and a Bottle of Bread” for probably the first time live, and covered the Eagles “The End of Innocence” as well. I’ve never felt prouder of being a New Yorker, and never felt prouder of Dylan. Thanks for the great comment Jim. He did not play Yea Heavy and a Bottle of Bread or End of the Innocence at this show. I was at this concert and it was amazing. Sugar Baby was sublime. The show a few days before at the Spectrum in Philly was also great!